William Edward Daily was born on Aug. 30, 1927, in Des Moines, Iowa. He once said that when he was just a baby, his father went out “for a loaf of bread” and never returned. An only child, Daily grew up in Chicago and discovered that people might not notice his dyslexia if he made them laugh. Daily attended Lane Tech High School and played double bass and sang in a jazz/comedy trio that toured the country. After serving in the Korean War, he returned to the Windy City to study stage directing at the Goodman Theatre School. Daily worked at WGN on Cubs games and then was hired as a floor director at WMAQ-TV, the NBC affiliate in Chicago, where he eventually wrote for and performed on a daily variety show called Club 60. He also was doing stand-up and met Newhart, an accountant who also was just starting out in comedy. Daily and Newhart also worked together as pinsetters at a bowling alley, his son noted. During his days off, Daily drove to Cleveland to write, direct and perform on The Mike Douglas Show. In 1963, Steve Allen appeared on that show, saw Daily do a comedy bit and offered him a job in Los Angeles as an announcer, writer and performer on his syndicated show. And that exposure got him a part on a 1964 episode of Bewitched. 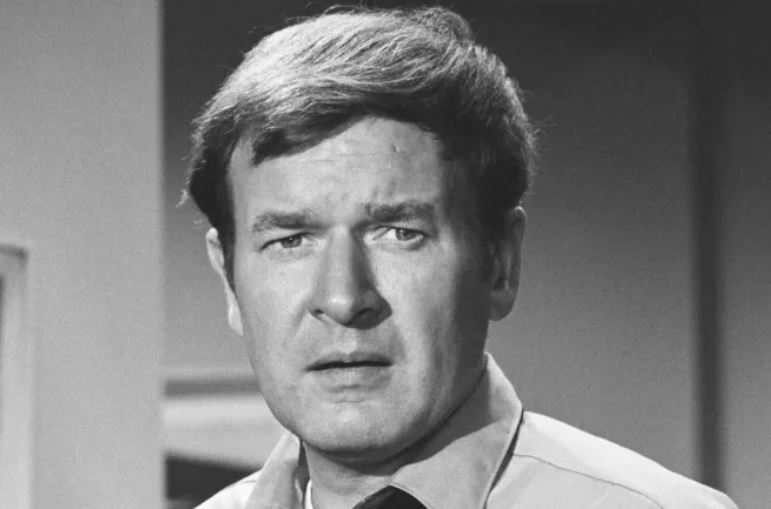 Daily also appeared in the 1971 Disney comedy film The Barefoot Executive; starred on the short-lived ABC series Aloha Paradise with Debbie Reynolds; recurred on NBC’s ALF as psychologist Larry Dykstra; played a veterinarian opposite Connie Stevens as his ex-wife on the syndicated show Starting From Scratch; and made regular appearances on Match Game. He was married three times and very proud to note that his first two children — daughter Kimberly (who died about eight years ago) and his son, a key grip in Hollywood — were adopted. Another daughter, Becky, also has passed. After more than three decades in Albuquerque, Daily was living with his son and daughter-in-law Sharon when he died.